Hoverboards are a somewhat novel means of transportation. They sometimes resemble skateboards, only ridden sideways. They are a fun way to get around town, office, or school. When they first emerged on the market, they weren’t really fast. Thanks to advancements in motor and battery technology, these boards have steadily improved when it comes to speed and performance. Today, fast hoverboards can reach speeds of up to 12 mph, comparable to other motorized skateboards. We have compiled a list of fast hoverboards that you can get in the market today so you can enjoy fast top speeds and optimum performance. These are some of the fastest hoverboards available. You can use them to commute to work, school or get around town as fast as you can. Day or night, they can be your best companion as you drift down the streets. 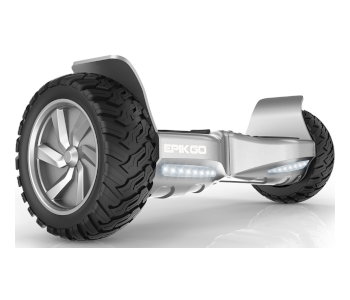 The Epikgo Sport Plus is the fastest hoverboard in the market to date. It has a maximum speed of 12 mph and no hoverboard even comes close to traveling that fast. Epikgo makes this possible by using dual 400W motors. These powerful motors also make it possible for the hoverboard to tackle rough terrain and steep hill climbs of up to 30 degrees. The Sport Plus also has excellent stability and is highly responsive to your commands. As a self-balancing scooter, having great stability gives you confidence as you zip through the streets on your daily commute or around campus. Couple it with its high top speed it is suitable to ride for long distances. The Sports Plus sports a very powerful lithium-ion battery that lasts for up to 12 miles and can fully be charged in two hours. It also boasts enhanced power retention, which means that you can maximize your battery life and regeneration capabilities as you ride. 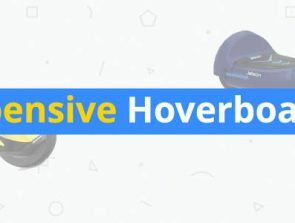 Even with these features, you might think that the Sport Plus is a heavy piece of equipment, it is relatively light and has a handle that you can use to carry the hoverboard around easily. It also has solid rubber foot pads that ensure a comfortable yet sophisticated riding experience. Moreover, it comes with built-in Bluetooth speakers that allow you to stream your favorite music as you ride. The Epikgo Sport Plus is one of the fastest hoverboards available today, however, it is not the easiest to ride. It does not come with multiple speed settings, which is mainly for amateurs and beginners. So, if you’re looking at the Sport Plus as your first hoverboard, it may not be a great idea. 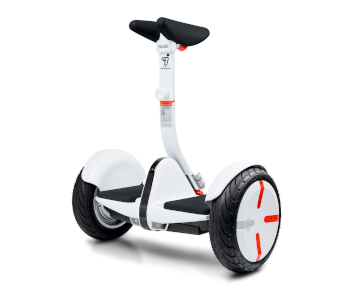 The Segway miniPRO is one that has deviated from the usual hoverboard design. The most notable difference is that the miniPRO has a padded knee bar and is very popular among commuters and people with mobility issues. 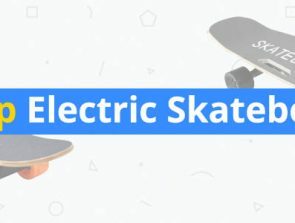 This design choice makes it easier to ride compared with other fast hoverboards as it gives you better control and maneuverability and is very beginner-friendly. The miniPRO sports two powerful 800W motors that allow it to travel at a maximum speed of 10 mph. It’s not the fastest in this list but it has an impeccable range of up to 14 miles. A downside of this extra-long range though is that its battery also takes a bit longer to charge compared to other hoverboards. The miniPRO has been designed specifically for urban commuters and it has specific features that reinforce this idea. One of which is the automatic speed reduction that keeps things under 10 mph. It also comes with a mobile app that includes a security alarm and settings to adjust the light colors that illuminate when traveling at night. The app also allows you to remotely control the miniPRO. These features make it one of the safest hoverboards and are an excellent choice for amateur riders. You might think that the miniPro, because of its added features and the extra padded knee bar, is a heavy piece of machinery. It comes with a lightweight frame that’s easy to carry and a built-in telescoping carry handle for easy handling and storage. The Swagtron T6 is one of the first hoverboards to handle a maximum passenger load of 420 lbs. It sports dual 350W motors that allow you to reach a maximum speed of 12 mph and climb inclines up to 30 degrees. It also comes with powerful lithium-ion batteries that provide you a 12 mile range on a single charge. 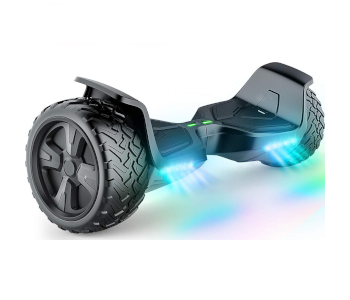 The T6 hoverboard features 10-inch rugged all-rubber tires that allow you to ride on all terrain, including mud, grass, gravel, and even wet surfaces. It also comes with Bluetooth speakers so you can listen to your favorite tunes from your smartphone. For added safety, the hoverboard comes with LED lights that are capable of emitting light to make you visible in the dark for up to 6.5 feet. 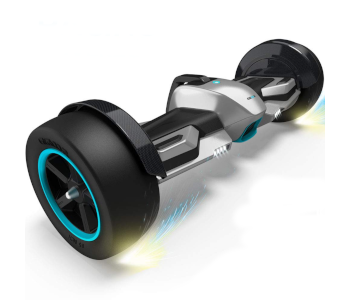 The G-F1 is a fast racing hoverboard inspired by the Formula One racing supercars. It uses dual 350W motors that provide a maximum speed of 10 mph and a maximum climbing angle of 30 degrees. 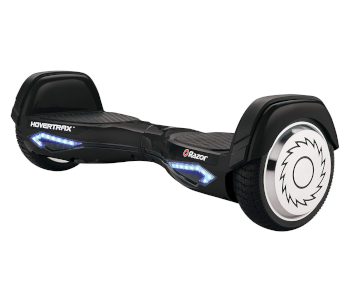 It comes with removable lithium-ion batteries that can reach a distance of 9.5 miles on a single charge. The batteries, since they are removable, allow you to pack a spare so you can easily swap out batteries so you can enjoy an extended range. The G-F1 hoverboard sports an 85% aluminum body that allows it to carry a rider that weighs up to 265 lbs. It comes with a handle to help the less experienced riders with their balance. At 33 lbs, it is fairly portable so you can use it on your daily commute to work or school. For added safety, there are LED lights at the front to alert motorists and pedestrians during the night. You can also adjust the colors using the app. The hoverboard is water-resistant with an IP54 rating, which means it can withstand occasional rain showers and wet roads. 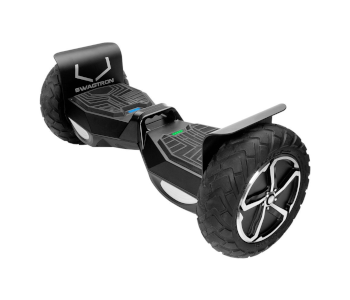 Additionally, the Gyroor F1 is also an all-terrain hoverboard and it can travel on just about any surface. It also comes with Bluetooth speakers to stream your favorite music while cruising down the streets. The Tomoloo V2 Eagle is a smart self-balancing hoverboard that has a maximum speed of 9.3 mph, thanks to its two powerful 350W motors. It uses high-performance 36V batteries that are explosion-proof to ensure your safety. For an hour and a half of charging, you can use the hoverboard for up to 8.7 miles. The V2 Eagle passes the UL2272 safety standard, making it a safe and high-quality device. It also features a waterproof cap, allowing you to continue to ride it even when it rains and on wet surfaces. The hoverboard can handle a maximum load of 120 kg. It comes in different colors such as red, blue, silver, yellow, black, and white. You can also connect it with your Smartphone to control its LED lights and turn on/off Bluetooth music. The Razor Hovertrax 2.0 is a self-balancing hoverboard that features auto-leveling technology that provides you a nice smooth ride. Most notably, it is one of the sleekest looking hoverboards in the market today. It has a polished feel and a sense of elegance that looks nicer compared to the model’s previous iterations. The Hovertrax 2.0 can carry a rider of up to 220 lbs and has a maximum speed of up to 8 mph thanks to its dual 135W motors. Its 36V lithium-ion battery gives you up to 8 miles of range. One of the most notable features of the Hovertrax 2.0 is its removable battery. You can easily carry a spare with you to extend your range. The battery is easily accessed from the bottom and you can quickly swap them out without taking the hoverboard apart. This is a self-balancing hoverboard, however, it does not help you keep your balance. It comes with training mode though so that you can learn how to ride it. Once you get the hang of it, it will provide you a smooth and comfortable ride. Hoverboards are more than just playthings, these fast versions allow you to use them as a transportation device for your daily commute. If you live in cities where the traffic is awful or if you’re a student going to school on a large sprawling campus a fast hoverboard can help you drastically cut your travel time. 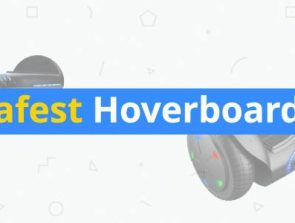 The list we compiled are some of the fastest hoverboards available in the market today. All of these models are rated safe, durable, portable, powerful, and exceptionally quick. So if you’re looking for a hoverboard to help you with your commute you will definitely find one that will fit your needs.